Ran believes that one of the most effective ways to affect change is to connect people with common goals. Bringing together peers of diverse backgrounds and experiences, Ran hopes to expand his own knowledge while helping others learn from each other. From trekking through Tibet to running with the bulls in Pamplona, Ran travels extensively during his time off to see corners of the world he has only known in books. He also had the great honor of carrying the Olympic torch through his hometown KunMing, China for the 2008 Summer Olympics. Dipan believes that sharing perspectives allows for the refinement of our beliefs about the world and enjoys actively engaging peers from different disciplines to discuss issues related to international affairs. Passionate about law, social entrepreneurship, and international development, he wants to expand the agency of those individuals marginalized by legal frameworks. He admires the work of Amartya Sen and spends his leisure time immersed in world literature and film. From Prospect, Dipan has learned that anything is possible with a passionate team, a pen, and enough napkins upon which ideas can be scribbled. You can follow Dipan on Twitter. Liliana Torpey was Editor in Chief during the 2017-2018 school year and graduated with a degree in International Studies: Literature. A lover of literature and a proud poet, Liliana joined PROSPECT in order to broaden her writing skills and participate in a global dialogue through journalism. In her writing, studies and travel, she tended to focus on Latin American culture and politics, and by doing so she hoped to help bridge a gap of understanding between the U.S. and our neighbors to the south. Liliana enjoys exploring various creative mediums and hopes one day to publish many books. Yelena Akopian graduated from the University of California, San Diego in 2011 with a degree in International Studies and emphases in political science and Russian literature. A McNair scholar and a journalist, Yelena is interested in the many ways in which media, politics, academia and culture interact and converge across societies. Her hobbies include travel, writing and world cuisine. Sarah Alaoui joined Prospect to engage in discussions and share ideas with like-minded people who are passionate about politics and international affairs. She graduated from UC San Diego with a B.A. in political science and is currently pursuing an M.A. in Public Affairs/Action at Sciences Po Lille in France. Her interests lie in, but are not limited to: the integration and civic participation of the Moroccan diaspora in France, the status of women in Arab countries, and U.S. foreign policy in the Arab world. Marvin Andrade is a double major in International Relations and International Business. He has focused on Middle Eastern conflict, the European Migration Crisis, and the changing nature of US globalism. Marvin has a penchant for political debate and participated in over a dozen conferences while President of Model UN. Marvin one day hopes to go to graduate school and work for the US State Department. Kimberly is passionate about Prospect as a forum for thoughtful exchange on all things international. 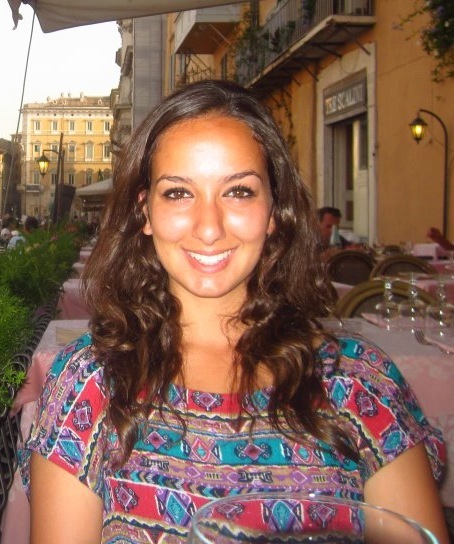 She found PROSPECT as a third year when she returned from her study abroad in Turkey. Kimberly was looking for a community of people interested in foreign policy issues and engagement in the global community. In her tenure as president, Kimberly was focused on internal development, the expansion of readership, and topical diversity at the journal. 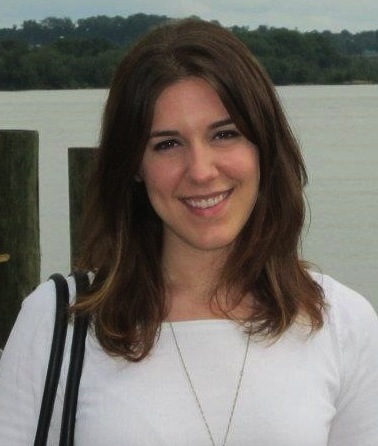 Her own research interests are Turkish-American relations and international education policy. After leaving UCSD Kimberly founded GiveYourGap.org, a site dedicated to encouraging young people to work at nonprofits and social businesses during their “gap years,” and beyond. Joe Armenta joined Prospect in 2012 to apply his journalistic abilities to an international setting. Currently, he is pursuing degrees in History and International Studies. Having spent time in Peru, Nicaragua, Zambia, and Mexico, his interests lie in issues surrounding poverty and government institutions. Outside of work, Joe enjoys to volunteer with various non-profit organizations. Adham majored in international studies with a primary interest in political science. He is originally from the Bay and has been exposed to many different viewpoints concerning the world. To explore and write about international issues, Adham joined PROSPECT his freshman year and has continued working in the journal ever since. Samantha is a fourth year from south Orange County, double majoring in Economics and Political Science. With a Japanese and Greek heritage, she grew up with two vastly different perspectives on the world, and as such has always had an interest in other cultures. She joined PROSPECT to be surrounded by others with a similar interest in international affairs and to share her point of view. Samantha is particularly interested in Western Europe, the European Union, and immigration policies. Sebastian joined PROSPECT to combine his love of writing with his desire to better understand the world around him. Born to a Southern redneck and a Swedish immigrant who both love traveling, he grew up immersed in the interactions between cultures that help shape global affairs. He is especially interested in European and Latin American politics, as well as global political institutions. Michelle Bulterys was Editor-in-Chief and President of PROSPECT during the 2015-2016 school year. She was a Senior Editor since 2013 and a Staff Writer since 2012. Michelle graduated from UCSD in June 2016, where she majored in Sociocultural Anthropology and minored in Global Health. Michelle grew up in Sub-Saharan Africa and Southeast Asia until she graduated high school, and during her time at UCSD studied abroad twice; in South Africa and Italy. 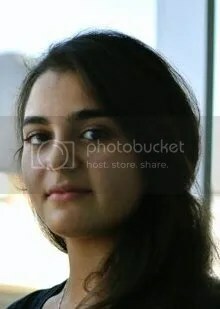 She is now a research assistant at Stanford Cancer Institute, at Stanford University’s School of Medicine, and aspires to be an epidemiologist. Rebecca is a communications major and business minor with hopes of a future in marketing. She loves travelling and is fascinated by world cultures and the dynamics of geopolitics. Outside of international relations, Rebecca is also passionate about fashion and sustainable living, and in her free time loves to drink tea, read good books, sew, and discover new music. 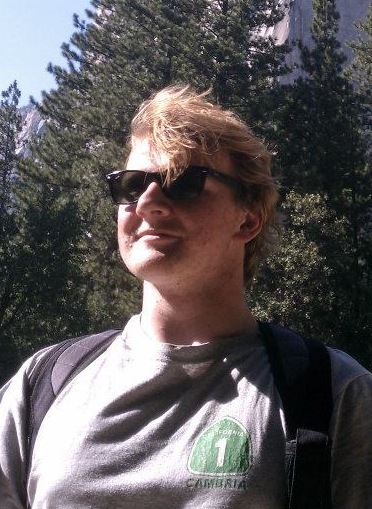 David Dannecker served as a staff writer and a senior editor from 2011-2015. He completed his B.S. in Ecology in 2014, and his M.S. in Biology in 2016, both at UCSD. He is currently working as a consultant for a research team studying non-linear modeling of ecosystem structures at Scripps Institute of Oceanography, with multiple papers in various stages of preparation for publication. David also works at the LEGO Store at UTC. James is a fourth year urban studies and planning student at UCSD. With his wide set of business experiences, James joined the executive team as CEO to held develop and expand Prospect. Before beginning his studies at UCSD, James spent a year traveling and volunteering throughout Brazil, Kenya, and China. His interests include photography, recording engineering and traveling. Elsa joined Prospect as a Staff Writer in 2014 and became a Senior Editor in 2015. In 2016 she received her B.A. in International Studies-Political Science and minored in Economics and Law and Society. 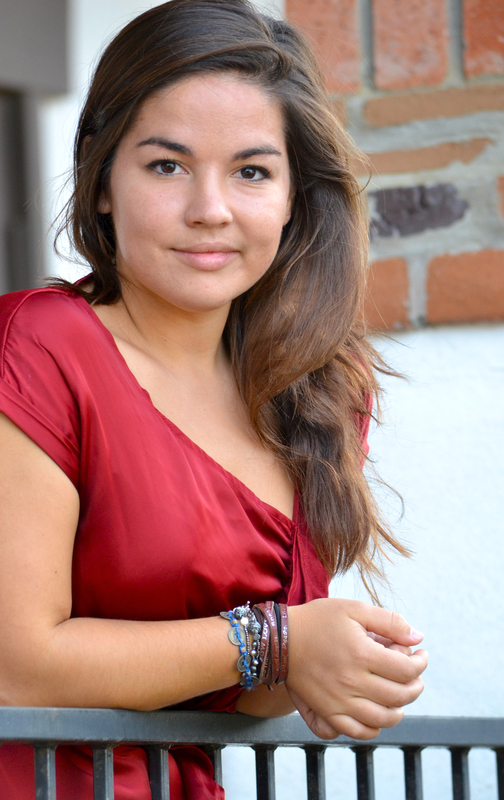 She is originally from France, and decided to study law and economics in Europe her senior year. She is currently working as a research intern in the Department of Family Medicine and Preventive Health at UCSD, and as an intern at a legal clinic. She hopes to pursue a JD/MPH and continue working in research. Monica’s commitment to and passion for understanding international political discourse led her to serve as senior editor of Prospect. She appreciates the knowledge, diversity, and impactful cultural discussion that being part of Prospect has to offer. After graduating from UCSD, she received a JD from Pepperdine Law. She currently does legal work for a nonprofit. Chris Higa is a second year transfer student majoring in Visual Arts Digital Media with an emphasis in Computer and Photographic Arts. He came into Prospect as a photographer last year and assumed the position of the Visual Arts Editor this year. Being a multi-racial mix of Japanese, Filipino, Italian, Spaniard and Chinese, he strives to learn about other cultures both socially and politically. Kaushik is a fourth year Bioengineering major. He joined Prospect Journal in 2016 as a senior editor, focusing most of his efforts on both science issues internationally as well as domestic scientific issues in the United States. He is extremely passionate about sports and likes robots and the movie 2012. In his spare time, he loves hanging out with friends and eating out at different restaurants and trying new foods. In fact, he loves eating pineapple on pizza. He aspires to become a Bioengineer with specialties and knowledge in many diverse engineering fields. Susie joined Prospect upon her return from studying abroad in Ghana, where she pursued an independent research project on the feminization of poverty in poor urban areas. Her personal research interests include neoliberalism, imperialism, and human rights discourse. Kris is a Mathematics-Economics major with a minor in Political Science. He studied abroad at Tsinghua University and is proficient in Mandarin Chinese; which seems fitting for a writer who focused on East Asian affairs now that we think about it. Kris seeks to work in the finance industry after completing his bachelor’s degree. Law school has always been a goal of his, but we’ll just have to wait and see how that turns out. In the meantime, you can probably find Kris out diving or in a kayak somewhere in La Jolla cove. Logan joined PROSPECT in the winter of 2012. A childhood spent living in China and perusing National Geographic magazines gave him a lasting appreciation for international affairs. While pursuing a degree in international studies, he has developed interests security studies and East Asian political institutions. Upon graduating, he hopes to acquire a graduate degree in international relations before joining the foreign service. Megan Magee is International Studies major, with emphases in Political Science and Economics and minors in History and Global Health. Megan has studied abroad twice, in both Madrid and Berlin, prompting her decision to get involved with Prospect. She is especially interested in Latin America, public health, travel narratives, and global languages. Omkar Mahajan was the Editor in Chief from 2016-2017 and graduated in 2017 with a double major in International Studies-Political Science and History along with a minor in Economics. With interests in Buddhism, Middle Eastern and South Asian politics, and human rights affairs, he joined Prospect his sophomore year as a staff writer to further his interests about the changing world and to be surrounded by like-minded people. In his spare time, he enjoys playing basketball, going to the gym, eating different cuisines, and traveling. Taylor double majored in economics and international studies. He is passionate about working with Prospect, where he edited the blog and had work referenced by The New York Times, The Daily Beast, The American Conservative, the Center for American Progress’ Think Progress, and Forbes. You can follow Taylor on Twitter. Alexsandra joined Prospect to become more active in the international discourse on economics and their relation to political power. As CEO, she focused on providing a wider community with access to the journal and building the vision of undergraduate collaboration that was shared by this Journal’s Founders. Alexsandra believes in Prospect as a medium to help educate and encourage individuals about the world around them and hopes that UC San Diego students will embrace this endeavor. During her time with Prospect, Alexsandra worked towards marketing efficacy, organization structure and worldwide PROSPECT distribution while maintaining Prospect’s vision as a critical journal with relevant content on international affairs. 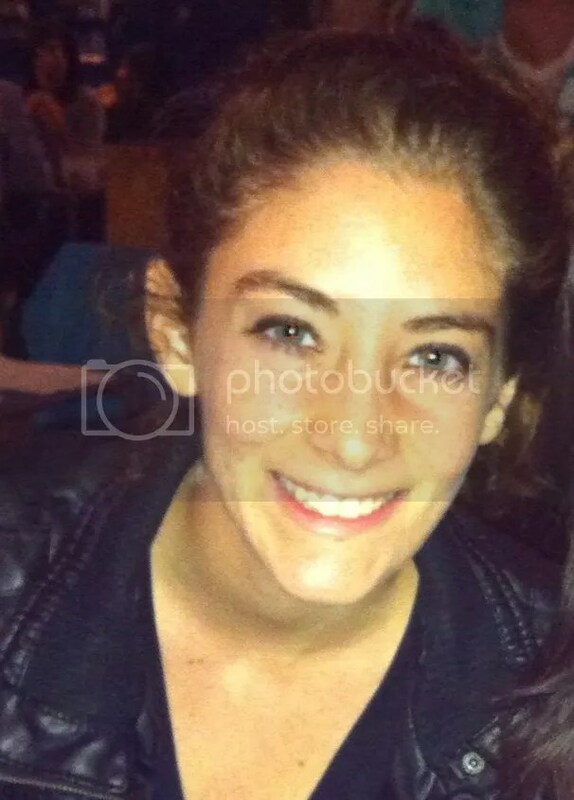 You can follow Alexsandra on Twitter and frequently find her hanging out in San Diego area coffee shops. Niki is a senior with an International Studies major and Human Rights minor. She is particularly interested in international development and Middle Eastern affairs. With a desire to broaden her understanding of international matters, she joined PROSPECT, where she has had the opportunity to work and learn alongside a globally-minded group of fellow students and citizens. Apart from her studies, Niki enjoys envisioning a future of extensive travel, languages, culture, and endless curiosity. Andrew is a Political Science: International Relations and Japanese Studies major with a minor in Economics. 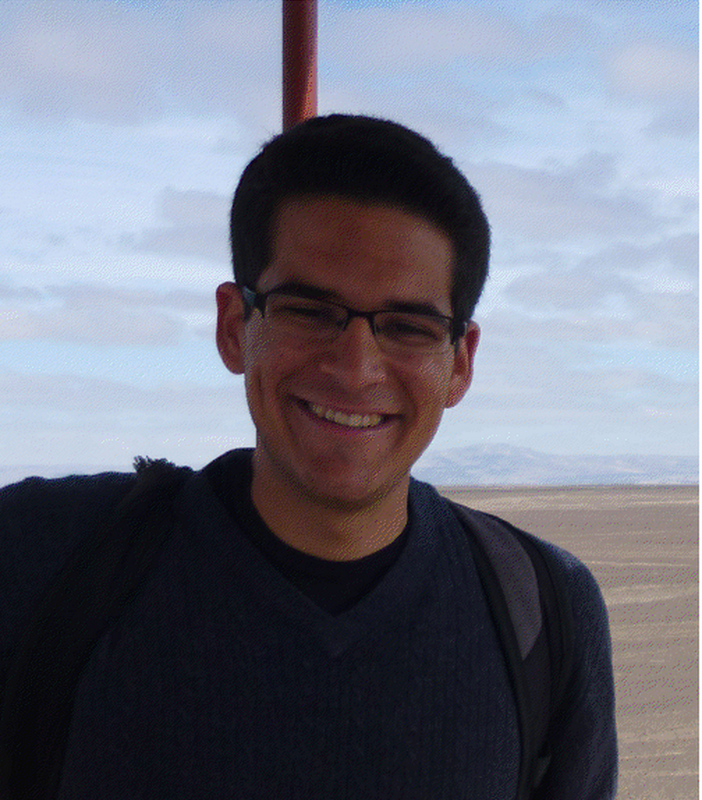 He joined Prospect in 2013 because he believes that the ability to write is a necessary tool for success in any field. He has covered a wide range of topics including LGBT rights, sports politics, and women’s rights in the workplace. Once he graduates, Andrew hopes to teach English in Japan and in sub-saharan Africa before applying to a master’s program in public policy or global development. Naomi Pike has been interested in international issues all of her life. Born to parents with a love of travel, she has experienced other cultures and societies from an early age. Throughout this travel, she had the opportunity to see five continents and over twenty countries, often spending prolonged periods of time living with extended family. After finishing high school, she chose UCSD to further this interest through their Political Science and International Studies departments. Naomi has a specific interest in the Middle East, and she seeks a thorough understanding of its history and society to better understand the complexities of current issues. When not pursuing academic endeavors, she enjoys exploring new restaurants and playing music. Josh is a Aerospace Engineering student at UCSD. 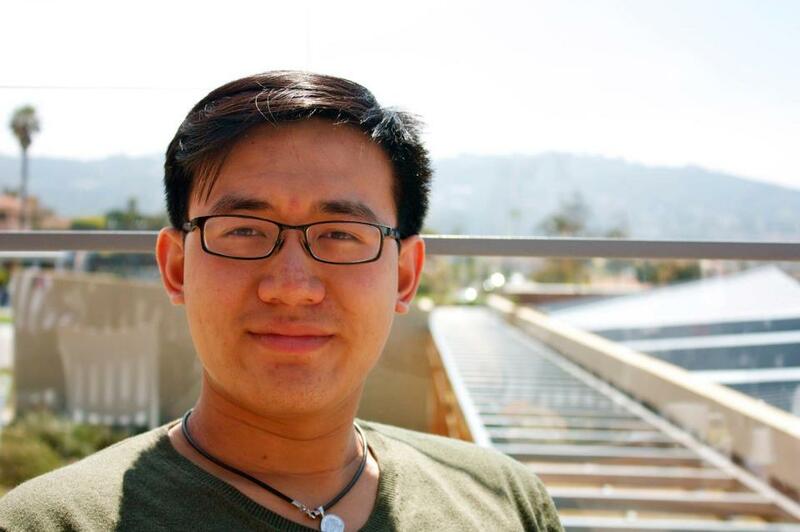 Seeing Prospect as an excellent medium for academic and social discourse, he joined the team with the hopes of expanding its horizons into new and diversified content, including Science and Engineering. Outside of academics, Josh enjoys writing and playing music, learning new languages and any type of outdoor sports. Hanna Rahimi joined PROSPECT as a Senior Editor during her senior year at the University of California San Diego and was thrilled to find such an exciting group of educated and enthusiastic students. Working with the executives and writers at PROSPECT was not only a great opportunity to practice journalism style editing, but also helped further develop her love of travel, international affairs and the pursuit of exposing students to newsworthy events. Hanna graduated from UCSD in August of 2011 with a B.A. in English and Spanish Composite Literature and is currently working as a writer, tutor, and teaching assistant. Megha joined Prospect to better understand the political, economic, and cultural forces shaping our world today. Megha is working towards an International Studies-Economics major and a Middle East Studies minor. She recently studied abroad in Turkey for five months where her passion for travel and cross-cultural dialogue intensified. She hopes to learn more about international human rights law and transnational advocacy networks. Maria Sebas is a fourth year double major in History and Political Science with a minor in Middle Eastern Studies. She studied Arabic in Palestine and completed an internship as a research assistant at Lebanon Support, a Lebanese NGO based in Beirut. She intends to pursue a PhD in History following graduation. Maria enjoys traveling, running and spending time with her cat. Tanya Sukkari Tanya joined PROSPECT to help spread awareness of international affairs at UCSD. With an international background of growing up abroad with parents who loved traveling, experiencing new cultures and places has become her passion. Tanya is pursuing a degree in International Relations and Economics and hopes to work in an international setting, saving the world, in the future. She enjoys adventuring, Disneyland, watching movies, and going to concerts. 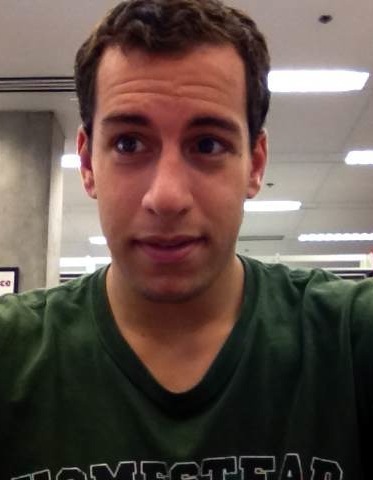 Max is a fourth year International Studies-Business Major with a minor in Sociology. He joined Prospect in 2016 after discovering just how big the world is from spending time abroad. His interests include learning about differences in cultural norms and the various forms of bread & circuses (sports/entertainment). Upon graduating he hopes to work abroad before potentially pursuing more schooling. Nick is a fourth year Communication major with a minor in Business. He joined Prospect in 2015 as a staff writer in order to strengthen his writing abilities while enhancing his overall knowledge of the world. His articles have ranged from such conventional subjects as climate change and international agreements to more obscure topics that discuss unexpected cultural practices across the globe. Upon graduation, Nick aspires for a career in alternative news media production or to work for a nonprofit organization. His hobbies include playing ultimate frisbee for the school’s club team, writing posts on his music blog, taking road trips when his schedule permits, and selling guacamole at the local farmers market. Thomas was a Management Science major at UCSD. Since high school, Thomas has been passionate about current international events related to politics, economics, and high finance. In order to nurture this interest, Thomas joined Prospect as a member of the finance team to support the journal’s mission of encouraging intelligent discourse on international affairs. After graduating, Thomas plans to enter the field of finance as an Investment Banker, focusing on the defense and aerospace sector. Nolan majored in International Relations and European History. Having his intellectual curiosities piqued by the 2008 financial crisis, Nolan seeks to study International Political Economy and Political Behavior in graduate school. He loves writing, reading and researching. He conducted a study on how to more effectively register and turnout college youths in elections. When not studying or working, he is usually playing guitar, watching a baseball game or riding his motorcycle. Marianne is a fourth year International Studies major and Education Studies minor. She is interested in the intersection of education and international development, particularly in Africa. As a proud Canadian who grew up surrounded by a multitude of perspectives and rich narratives, she joined PROSPECT to learn from other people’s views of the world and to contribute her own. Apart from her work and studies, Marianne also enjoys foreign television and film, learning languages, and people-watching at the farmers’ market.